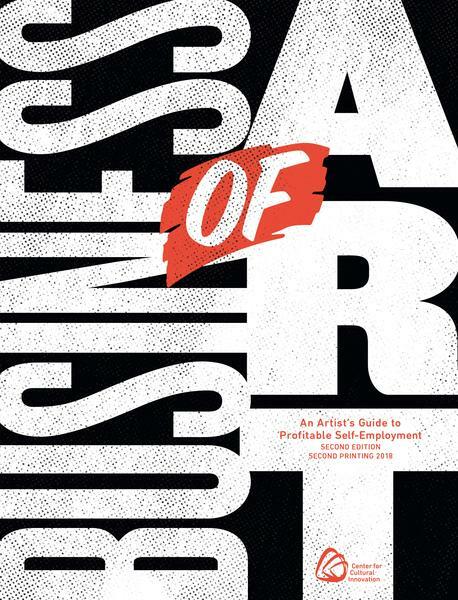 Published in January 2012, the 2nd edition of Business of Art: An Artist’s Guide to Profitable Self-Employment provides you with key knowledge, tools and resources to help you advance your art practice. This book reflects CCI deep commitment to the artistic community and our belief that knowledge is power. This book will be a terrific help to any artist at any age. For those who like philosophy as a driving force, there are leading questions to help one find or rediscover essential vision. For those who like grids and worksheets, the book abounds with little treasures to help organize artistic thought in relation to business practice. For those who have shied away from being direct about money or legal issues, it is all spelled out here so that no one needs to be afraid. In fact, the book would be of use to anyone wishing to strike out on an independent path of entrepreneurship and satisfying work. For information on purchasing the Business of Art: An Artist’s Guide to Profitable Self-Employment in bulk quantities, please call 213-687-8577.